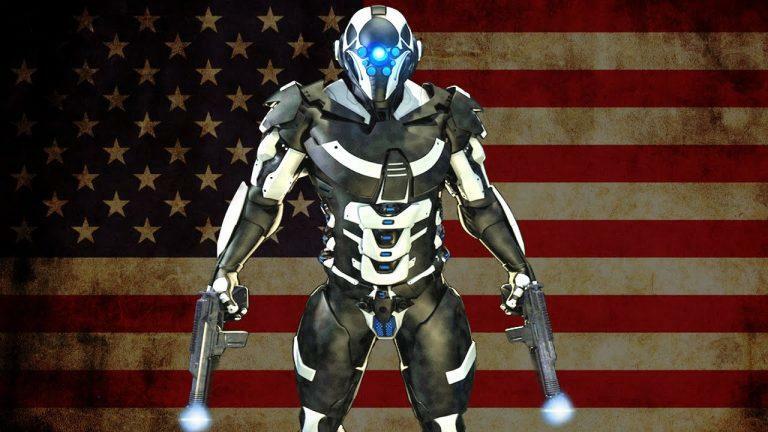 According to a new report from Bloomberg, the Pentagon is spending approximately $1 billion over the next several years for a variety of robots designed to complement combat troops on the modern battlefield. In addition to scouting and explosives disposal, these new war robots will reportedly be able to perform more complex tasks, including surveillance missions, detection of chemical or nuclear agents, and even have the ability to transport soldiers’ rucksacks. 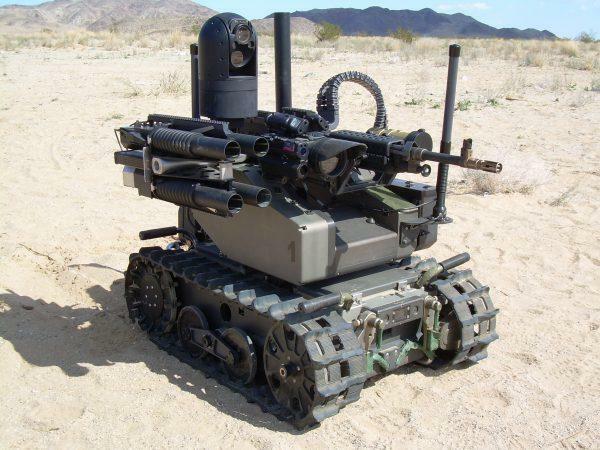 “Within five years, I have no doubt there will be robots in every Army formation,” said Bryan McVeigh, the Army’s project manager for force protection. He applauded the efforts of the Pentagon to field more than 800 robots over the past 18 months. “We’re going from talking about robots to actually building and fielding programs,” he said. “This is an exciting time to be working on robots with the Army,” McVeigh added. 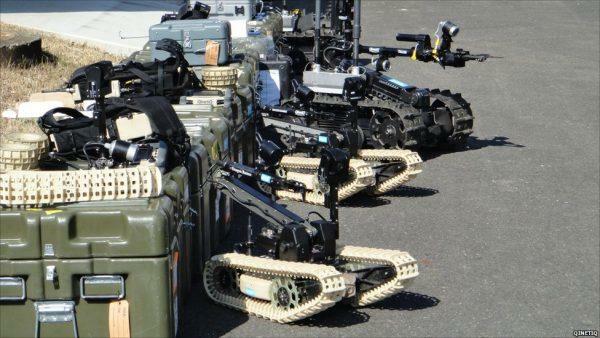 Bloomberg says the Pentagon has classified its robot platforms into light, medium and heavy categories. 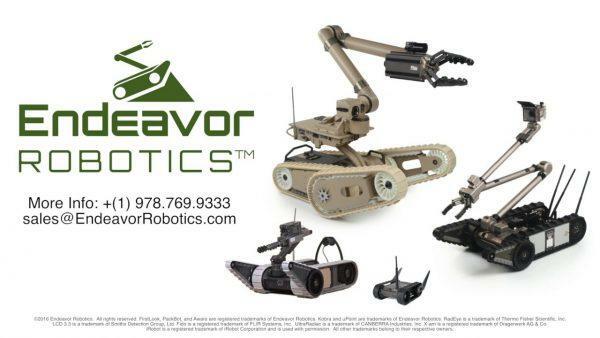 Last month, the Army awarded a $429.1 million contract to two Massachusetts robotic defense companies, Endeavor Robotics and QinetiQ North America, for miniature size war robots weighing less than 25 pounds. Not too long ago, Endeavor Robotics was awarded two other contracts worth roughly $34 million from the Marine Corps for medium size robots. In 4Q17, the Army awarded Endeavor a $158.5 million contract for 1,200 medium size war robots, called the Man-Transportable Robotic System (MTRS), Increment II, weighing around 165 pounds. Bloomberg said the MTRS is designed to detect “explosives as well as chemical, biological, radioactive and nuclear threats,” with a deployment date set for the second half of 2019. “It’s a recognition that ground robots can do a lot more, and there’s a lot of capabilities that can and should be exploited,” said Sean Bielat, Endeavor’s chief executive officer. He points out “the dull, the dirty and the dangerous” infantry tasks are being supplemented by war robots. The introduction of war robots onto the modern battlefield is undoubtedly intended to streamline tasks in combat situations for infantry troops, but the primary objective is to increase the survivability rate of America’s bravest warriors. “The Army’s current approach is to field more inter-operable robots with a common chassis, allowing different sensors and payloads to be attached, along with standardized controllers for various platforms,” McVeigh explained to Bloomberg. While Trump signed the record-setting defense spending bill earlier this year, Bloomberg says the addition of robots on the battlefield is geared towards affordability. “If we want to change payloads, then we can spend our money on changing the payloads and not having to change the whole system,” McVeigh said. The Army will have a ramp-up period to field the use of its newer, more advanced robots; indications point to more than 2,500 of the medium and small robots will enter the modern battlefield in the next several years. There are significant concerns about the rapid development and deployment of advanced robotic technologies on the battlefield, especially the use of autonomous weapon systems. Last year, a group of the world’s leading AI researchers and humanitarian organizations warned about lethal autonomous weapons systems, or killer robots, that select and kill targets without human control. About two dozen countries have called for the ban on fully autonomous weapons, though the U.S. failed to join. “It seems inevitable that technology is taking us to a point where countries will face the question of whether to delegate lethal decision-making to machines,” said Paul Scharre, a senior fellow and director of the technology and national security program at the Center for a New American Security. Last August, Tesla’s Elon Musk and over 100 experts sent a letter to the United Nations demanding the organization ban lethal autonomous weapons. “This really comes down to, who is responsible if something goes bad?” Singer said, explaining that this applies to everything from war robots to autonomous vehicles. It seems like the new frontier of war and technology is ushering in a “Terminator”-style dystopic evolution of warfare. It is inevitable that this new generation of weaponry could quickly make its way out of the military and into the hands of terrorist organizations. Nevertheless, with the Pentagon throwing billions of dollars at defense companies to manufacture war robots, we ask one simple question: what could go wrong?